Torrents, one of the biggest medium of piracy. As we know that torrent website are banned in most of the countries and with that case we are also not allowed to download the contents of those websites. As being the hub of piracy torrents are spreading very widely and most probably into those countries which are among the top list in IT technology. Actually there was no need to ban a torrent website but the just because of the illegal distribution of products, made the manufacturers to deeply think over this situation and the result is that the torrent websites are banned across many countries and using these sites can also provoke government to take necessary actions. The countries like Switzerland, Mexico, Canada, Netherlands, Spain are safe countries for torrenting whereas countries other than these are strictly prohibited under Laws to use Torrent Sites. So, are you hoping that there is no safe way to access torrent sites, actually there is the safe ways by which you can access torrent sites that method uses the change in the proxy of the network. 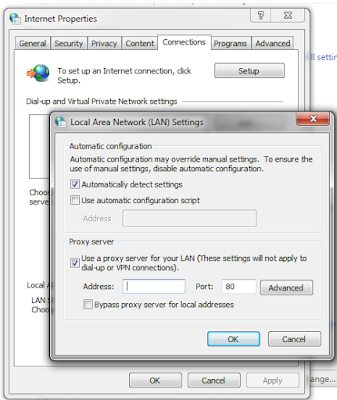 There is something that is called VPN and this stands for Virtual Private Network. A Virtual Private Network is a network which is a fake or different network other than your personal network. Actually we use VPN to change the proxy settings of our computer network. So what we get from changing the proxy of our Network? Actually when we change our proxy settings then the location from where we are accessing the internet changes to somewhere else as changing the proxy affects our IP Address. And when we do so it is almost impossible to access our correct location. Changing the proxy settings of any network basically requires only two components that are IP Address and the Port Number. Suppose you want to change your location to United States then you need to know the correct and the active IP address of that country and it’s port number. IP Address is an Internet Protocol Address provided by the internet service provider companies. It gives the unique identity to every device connected in a network. Every device connected in any sort of network must have an ip address in order to differentiate it with other device weather it may be computer, printer or other device. So How Could You Access Torrent Sites. There are two ways to access torrent sites, the easiest one is demonstrated in the Method 1 and the little bit complicated way is demonstrated in the Method 2. The reason the first method is easy is it uses external application or web-application to setup the suitable proxy for you while the second method is little bit time taking as it uses the manual method to achieve the result. There is a particular reason for telling you both methods and this I’ll explain later on this post. Go to https://hide.me and download the application using “Try it Free” feature for this action you may need to register with email id and password. When your download is ready then the next step is to install the application. Just double click on the application and the installation will begin automatically. Now open the application and login through the email id if asked to do so. Click on “connect” option to connect yourself to an anonymous network. That’s all! You have changed your proxy settings. And if you want to try for different location you may change it from clicking on the “Automation” button. For mobile users I recommend to use Hotspot Shield app to change proxy settings. You may find it play store or app store. Just click on connect button to change your current location. You may try other locations. You will find the list of some IP addresses along with their port number and from which country they belong. Note down some of the top accessed IP addresses with their port number. Open Control Panel and search “proxy” in the search bar. Click on “Configure proxy server”. 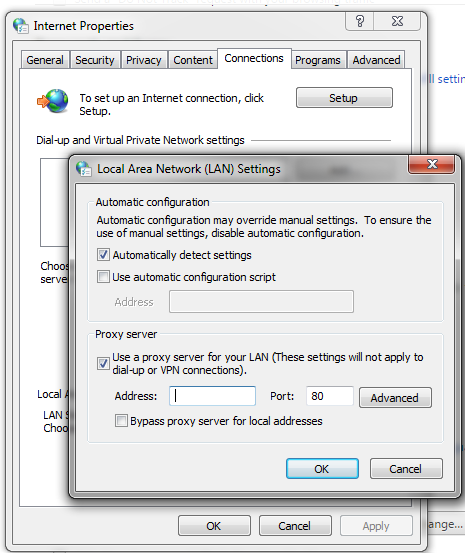 Under the proxy server, check the option saying “Use a proxy server for your LAN…”. Just type one of the IP address and the port number associated with it. Now try to run the internet and if the connection works fine then use it elsewhere try changing the ip address and the one which hits the eye (one which works) use that setting. That’s all you have set the proxy settings for your PC. Manually proxy change sometimes may take inappropriate time. But it will give you complete and safe control over your network. It may sometimes be frustrating as you may need to change the settings for more than one time if the network does not work fine. The proxy changer or the VPN service providers may track your browsing history or steal other details or files so it may be a little bit risk to opt for this process. But in case of manual proxy change you are free from these kind of activities. So it’s better to use VPN service if you are completely believe on the service provider. VPN service is not free, it may cost you money to connect to fast servers across the world.